Scientists investigate how much we want to kill 1920s Hitler, Lollipop comes to Cyanogen, and online weddings take a turn for the dystopian. 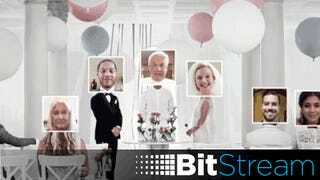 This is all the news and rumors you missed on BitStream. Weddings are one of the few bastions of human society that’s remained largely untouched by technology. Yeah, your friend can get ordained online in like a day, and it’s easier to find that disappointing DJ, but it’s one of the few events left that serves as an excuse to get the whole band back together: cousins, aunts, uncles, parents, siblings, and that weird friend from college you felt you had to invite. But what if you could still have that togetherness without having to actually be together? Don’t worry: Ikea is on the case with their new online wedding service. HBO Now Review: It Passed the Game of Thrones Test, But Is That Enough?